McKay G Bailey, age 88, passed away peacefully at his home in Escalante, Utah on Sunday, May 20, 2018. McKay was born on February 16, 1930, to Gail and Reva Bailey in Richfield, Utah. He graduated from Escalante High School and continued his education in auto mechanics in Salt Lake City, Utah. 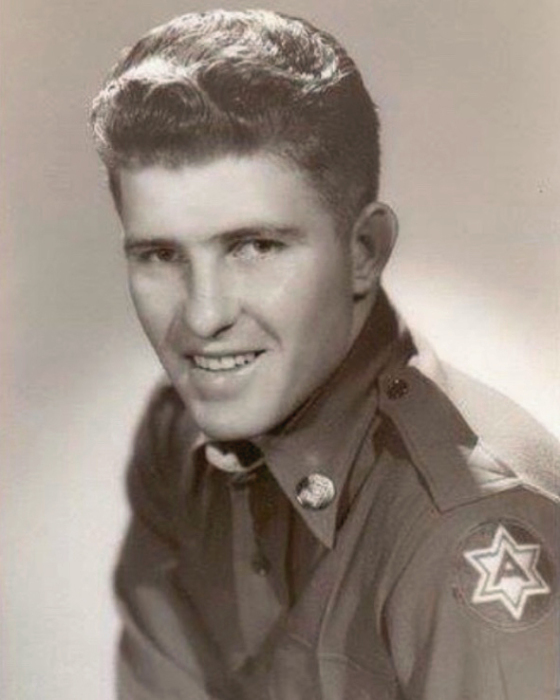 During the Korean War, he served in the United States Army in Fort Worden, Washington. McKay married LaFaye Spencer on July 8, 1954, in the Manti Temple. They were blessed with four children: Stuart, Natalie, Launi and Alan. Launi’s time on earth was short due to a birth defect. He was happiest on a horse and learned to rope at a young age. He used those skills in rodeos, calf roping and team roping with his good friend, Robert Liston. McKay worked construction jobs to provide for his family but the job he enjoyed most was being a cowboy. He worked with his dad, Gail, on the lower Escalante desert and Fifty-Mile Mountain. He later bought a ranch from his father-in-law, Clyde Spencer, where he continued his love of being a cowman. McKay was proud of his children and spent many hours traveling to attend their games and performances. After a long battle with cancer, LaFaye passed away in 1985. McKay married Rose Littlefield shortly thereafter and she has been his faithful companion for the past 33 years. Although sometimes he had a tough exterior, he always had a soft spot in his heart for his grandchildren and he loved his family very much. McKay is survived by his wife, Rose; son, Stuart (Karma); daughter, Natalie (Jerry); and son, Alan (Sara), fourteen grandchildren, and twelve great-grandchildren. Preceding him in death are his first wife, LaFaye; his parents, Gail and Reva Bailey; and his daughter, Launi. McKay’s funeral will be held Saturday, June 2nd at 12:00 noon in the Escalante LDS chapel. A viewing will be held prior to the funeral from 10:30 to 11:30 AM. Interment will be in the Escalante City Cemetery with military honors under the care of Olpin Stevens Funeral Home. Online condolences may be offered at www.olpinstevensfuneralhome.com. The family would like to thank the good people of Escalante who have shared their love and care for Rose and him over the years.